Some of our readers may have simply resigned themselves to the idea that sculptural works today are necessarily derived from the unfortunate, saccharine tendencies of "Saint-Suplice." They may have likewise resigned themselves to the idea that sculptural works today are necessarily limited to the catalogues, to resin and plaster productions, some having better qualities perhaps than others, but that the age of yesteryear with qualitative, original craftsmanship devoid of sentimentality was now gone, itself a mere sentimental reminiscence of a now by-gone era. Qualify craftsmanship can still be found today if you look for it. Craftsmanship didn't die with the ages -- perhaps only the will of those to seek it out -- and LAJ is pleased to make part of its fundamental purpose to locate and showcase these craftsmen. Today we are pleased to bring you the work of one of our close partners and active LAJ supporters, Mussner G. Vincenzo Art Studio. Mussner G. Vincenzo, as noted in another article, are located in Ortisei, Italy, and are entirely focused on the execution of hand carved statuary made from traditional materials. 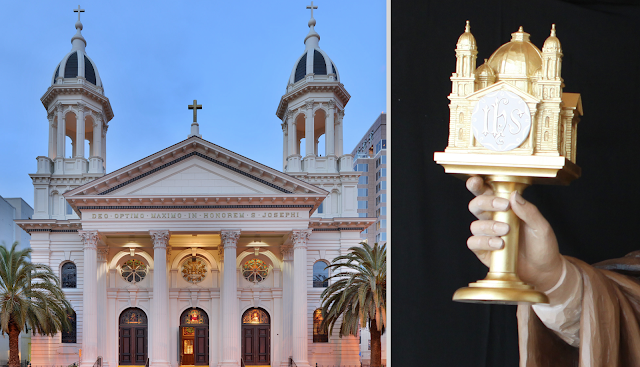 One of their recent projects was for two statues, commissioned by the Cathedral Basilica of San Jose in California. These two new commissions were to replace two original statues that were ill suited to the scale of the cathedral. 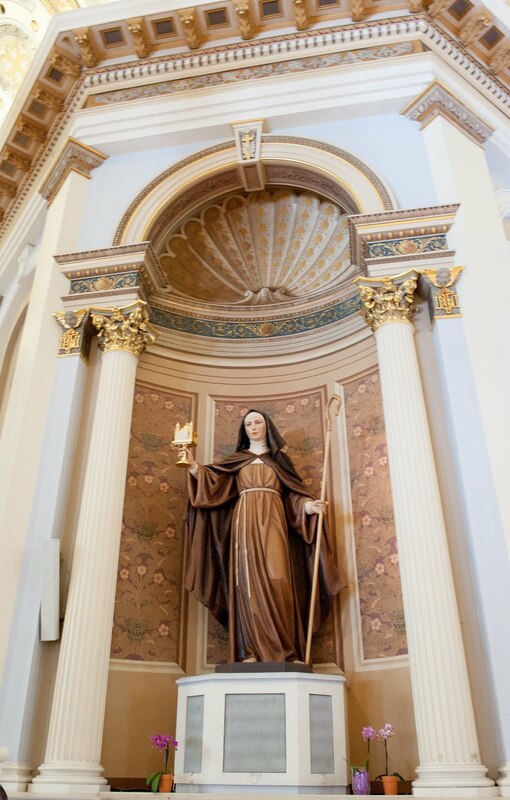 The statues in question were of St. Clare (the patroness of the county) and St. Joseph -- the patron saint of the city of San Jose. To begin, let's first look at the completed works set in their proper ecclesiastical context and from there we shall look at the process of the creation of these noble works. After the initial request of the diocese we made a few proposals and after the right size for the statues was determined we created clay models of the statues. 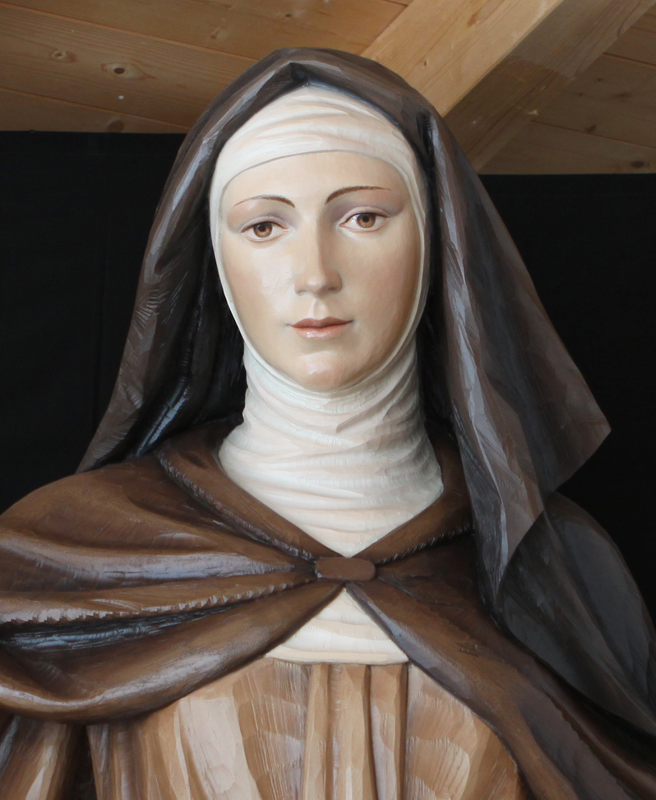 To create St. Clare, we visited her tomb in Assisi and viewed her original habit. Both statues were then approved by the diocese and we began with the selection of the proper wood. The statues were made of Linden wood, which has a very continuous grain and is the best choice for creating such statues. The statues are composed of a block of wood made of different blanks in different thicknesses. Once the blocks are ready, the first cuts are made with a chain saw to shape the raw form of the statues. Using large chisels, the first details of the statues are formed and proceeding with great care the artist elaborates everything from head to feet. The statues have now taken their rough shape and the details are brought out more intensively and with more precision. An example of this detailing is seen in the mantle of St. Clare that is made to appear tattered and she is holding a very simple pastoral staff, symbolic of the vow of poverty St. Clare and St. Francis made. St. Clare holds the monstrance, designed to look like the Cathedral where the statue will be installed. It is entirely gilded with 22 carat gold leaf. For the statue of St. Joseph the procedure was similar. 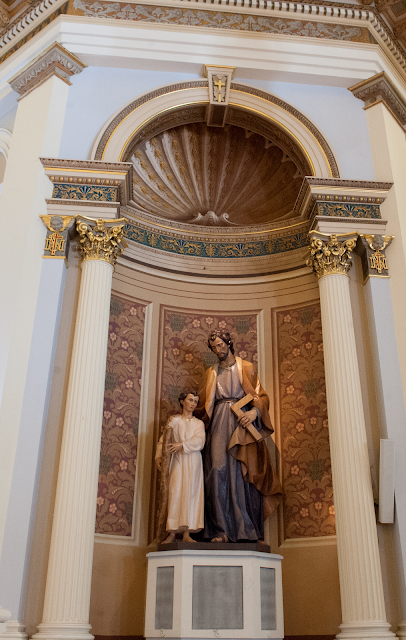 The standing Christ child beside the figure of St. Joseph increased the complexity of assembling the raw wood. For scale, the Christ child is 6'4" tall and the total statue size is 9 feet. To create some of the details, we use life models in order to get a more life-like result. When the woodcarving is terminated, the process of colouring begins. The wood is properly sealed and the colours are made after the client's specifications. In each of these examples, we see sculpture as it ought to be in my estimation. These present a visage that is in one sense distinctly 'contemporary' (which is to say they do not take the form of medieval or renaissance style imagery) and yet, while having a warmth and emotion to them, they are pleasingly lacking in the vices of so much sculpture of the 19th century onward. This is extraordinary work. I do not wish to neglect to mention the monstrance in St. Clare's hand that was made in the form of the cathedral in which these were installed. 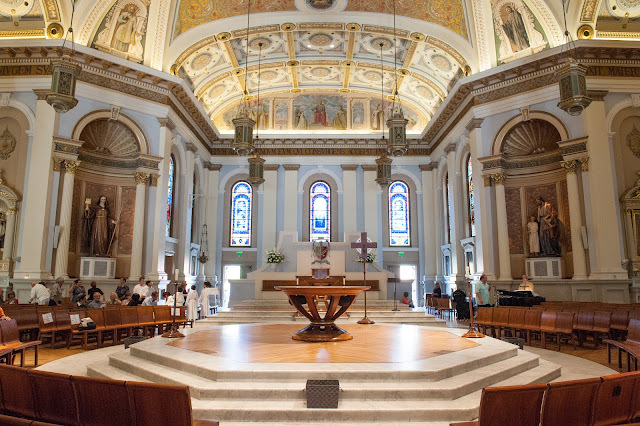 Details such as these are what really draw into the tradition of liturgical arts; works done not as mass marketed pieces, but which included local aspects that would have particular meaning for the local church while still connecting it to the broader whole. Superb detail.